The mouth of the West Alligator river that runs in the ocean, within the world famous and ancient Kakadu National Park in Australia, truly hosts some of the most spectacular coast lines I have witnessed so far. 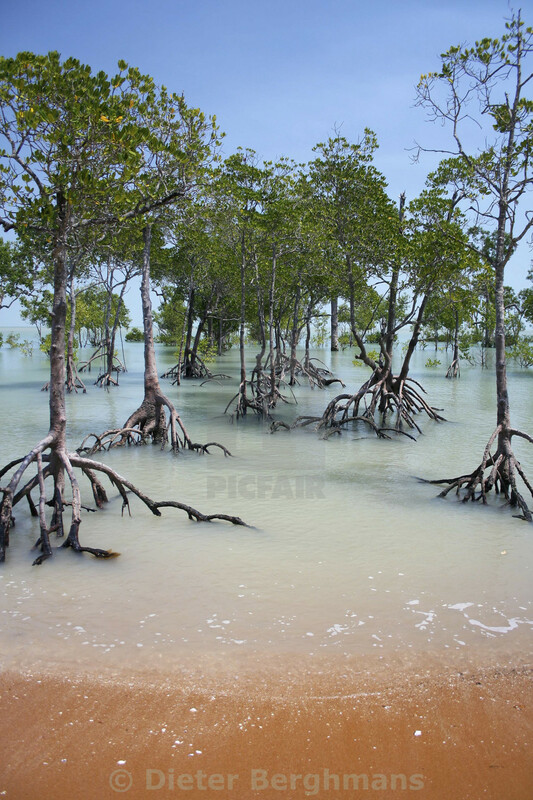 These mangroves are not only so beautiful, but so important to the ecosystem. Here they look a bit spooky as they seem to tiptoe out of the water. But also here you find the very dangerous Estuarine or salt water crocodiles.